The Choir Director is involved in planning worship and conducts the church choir. Choir for the coming year! Come and join them. join us for special music during our Worship service. at 7:00 pm September through June. Please check the calendar for specific dates. 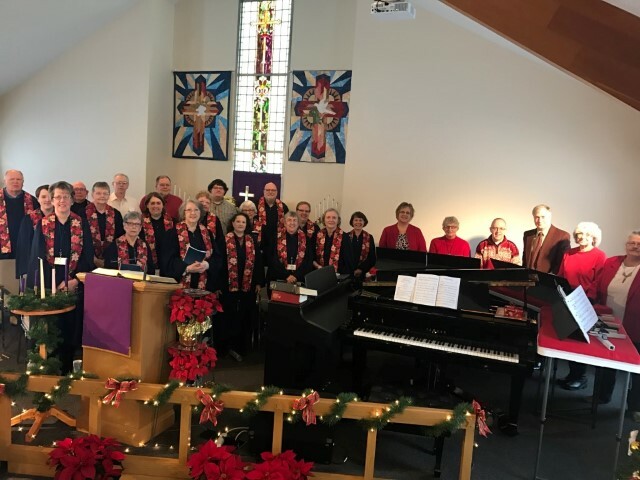 The chime choir rehearses on Sunday mornings following worship. If you are interested in joining either choir, please contact the Church Office. The Praise Band continues to encourage everyone to sing along to some more contemporary songs. We have a Guitar and a Drummer who sing as well as play instruments. They are joined by one of our younger members who sings with them. We welcome new voices and instruments!